On Tuesday 8th January 2019, the first day of the new school term, Camden’s third Healthy School Street was launched at Gospel Oak School. The entrance to Gospel Oak primary school is in Savernake Road which carries a lot of motor vehicles, especially in the morning commuter hours. 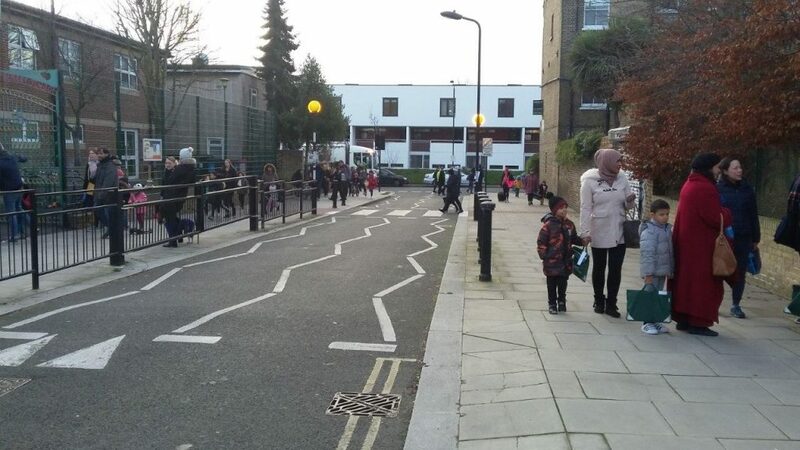 This Healthy School Street is achieved by prohibiting motor vehicles from entering the section of Savernake Road between Mansfield Road and Rona Road during school term time, Monday – Friday between 8:30-9: 30 am and 3:00-4: 00 pm. The closure is signed and will be enforced by two ANPR (Automatic Number Plate Recognition) cameras on Savernake Road at two points, near the junction with Rona Road and the junction with Mansfield Road. 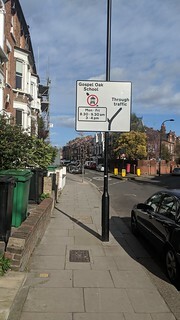 The photo #2 shows a warning sign on Agincourt Road before the junction of Savernake Road. 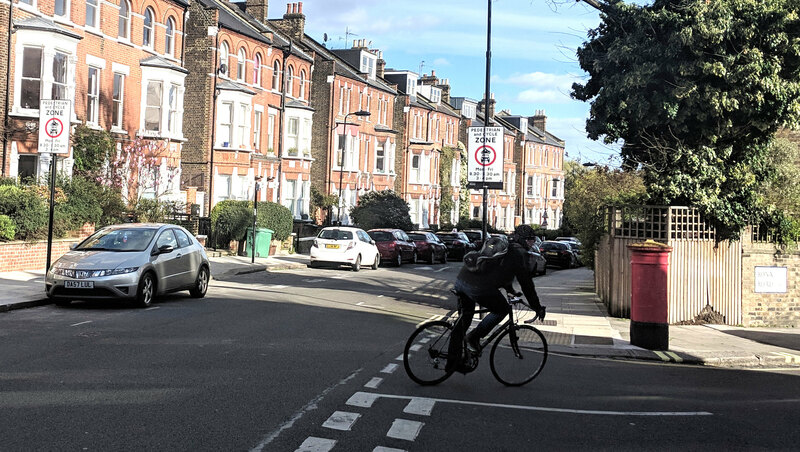 Camden Council say they will monitor this project which is on a 12-month trial with a view to making the scheme permanent at the end of the trial. And they are using diffusion tubes to monitor pollution levels before and during the trial. Ackland Burghley, Burghley Road opened in September 2018. See the write up on this page.